Fab Pilates: Pilates for you! Karen Jones is an inspirational mum of three and lover of all things active. Karen has practised the art of pilates over the past 12 years to achieve health and wellbeing, both for herself and her clients, and her Fab Pilates business has grown from her desire to make pilates both fun, and rewarding for others. 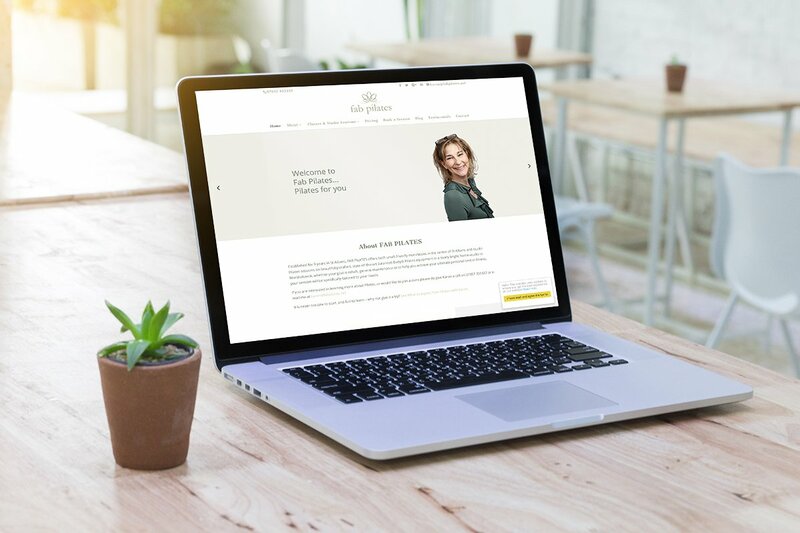 Our brief was to create a new brand design and responsive website, to showcase Karen’s personality and her passion for pilates. If you’re in the St Albans area, and your fitness goal is rehab or general fitness, Karen will tailor a plan to meet your personal needs. Don’t delay, Karen works largely 1-1 or 1-2 and sessions fill well in advance!